As fans, we were treated to a terrific opening few days of college basketball. The unexpected upsets of Baylor and Wichita State to the obliteration that Duke laid on Kentucky made for one of the most memorable opening days of college basketball. That was followed up by exciting games played throughout the week like Buffalo going on the road to West Virginia and winning in overtime. The loss the Mountaineers incurred was the first home opening loss since the 1989 season. The growth of early season tournaments in college basketball has rocketed in the past decade. In quick succession of beginning the season, teams have only played a few games before they ship off to various destinations to compete in early season basketball tournaments. It seems that this time of year has now becoming saturated with an outlandish number of tournaments. In this write up, attention will be given to tournaments that have more at stake for the participating teams. Tournaments where teams that are likely to make the NCAA tournament or those that I anticipate to be on the bubble will be discussed below. Listed below are just a few of bracketed early season tournaments. There are an equal amount of non-bracketed early season tournaments as well. As far as previewing the tournaments, I have mentioned the dates games are played and the location. For a majority of the tournaments, agreements were made that some teams participating will visit schools that are actually traveling to the tournament site. Therefore, I have not listed every team that is participating in the actual tournament, only the teams that are traveling to the tournament site. I look at potential match ups, likely results, and dark horses to win each tournament below. You will also see a link you may click on that will take you directly to the tournament bracket. Teams participating: Alabama, Appalachian State, Ball State, Davidson, Northeastern, Purdue, Virginia Tech, Wichita State. As far as quarterfinal games that are of interest, the Alabama/Northeastern final may be a surprise. Northeastern has a solid squad. Their season opening loss at home to Boston University does raise some question marks. Virginia Tech should handle a Ball State team that may surprise some people in the Mid American Conference this year. The Hokies match up well against both Alabama and Northeastern and I see them moving onto the final against Purdue. The possible match up between Purdue and Wichita State in the semifinals could be interesting. However, with the way Wichita State has started the year, I will be surprised if they hang around with Purdue. Ultimately, the Boilermakers have more play-makers than Virginia Tech does, and with Carsen Edwards leading Purdue, it will be a tough ask to slow him and his supporting offensive cast down. There is a clear favorite in this field and it is Kansas State. Missouri and Old Dominion are the two teams that could challenge Kansas State, but I think that those two teams are a tier below. Northern Iowa is in a down year, and the likes of Eastern Kentucky, Kennesaw State, Penn, and Oregon State are weak teams. I think a semi final game between Old Dominion and Missouri would turn out to be a close game with the winner advancing to the final against Kansas State. The two teams that are favorites heading into this tournament are Clemson and Creighton. I anticipate both teams meeting each other in the winners bracket final. There are a couple opportunities for Clemson or Creighton to slip up to their competition though. If Clemson meets Illinois State in the semifinal, the Redbirds have a good chance of beating Clemson. Likewise, Georgia State may sneak up on Creighton depending on how well the Panthers prepare for that game. (It also means they beat St. Bonaventure). Creighton shouldn’t struggle against either team due to their length and pace of play. This should turn out to be an exciting few days of games. In fact, regardless of who wins or loses games, every match up should be entertaining. We’ll get a great look at what the Xavier Musketeers look like during this three day stretch. Their opening game against Auburn will be a great test. The winner of that game will likely play Duke in the semi-final. Duke has demonstrated their value after their throttling of Kentucky on opening night. Their semifinal opponent, whomever they play, will want to keep the game close. That’s really all they can do at this point until trends develop in what coaches can find in Duke to attack their weak areas. I think Gonzaga has an easy time with Illinois and meets Iowa State in the semi-final after the cyclones take care of a fumbling Arizona squad. Duke shouldn’t struggle with either Xavier nor Auburn. One of Duke’s strengths is their uncanny ability to finish in transition. It will be unwise for either opponent to try and up their tempo. I think Duke moves on to meet Gonzaga in the final. Gonzaga, at least for mid-west and east coast college basketball fans, quietly put together another strong squad worthy of being ranked in the top 10. Mark Few prepares his teams well for each opponent. I think if Gonzaga and Duke play in the final, Gonzaga will give Duke more of a challenge for the full 40 minutes. The first game between Florida and Oklahoma looks to be closer than anticipated prior to the season beginning. I mention that because of the drubbing Florida State put on Florida. The Gators are comprised of a talented group of players, but they looked lost against Florida State. If Oklahoma keeps the game close, they’ll likely face Wisconsin in the semi-final. The Wisconsin Badgers will tip off against Stanford in the second quarterfinal of the day. The Badgers look to Ethan Happ as their leader with strong offensive and defensive play this season. They shouldn’t struggle with a weaker Stanford team. Butler and Dayton square off in the first evening quarterfinal game. Dayton had an up and down year last year, not winning nor losing more than two consecutive games in a row. 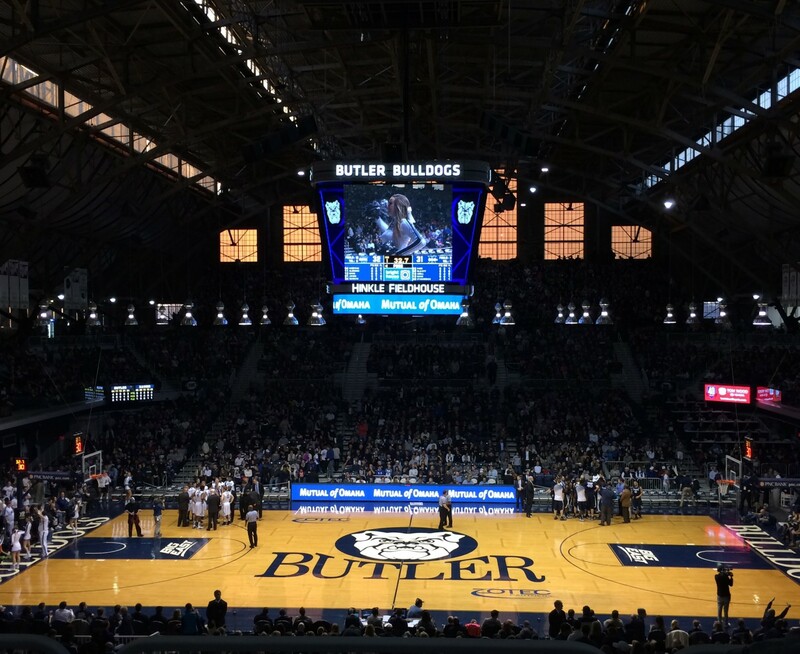 With LaVall Jordan at the helm of a Butler Bulldogs squad that looks to continue their success from last year, this will be an interesting game. In the last quarterfinal of the day Virginia and Middle Tennessee will play what should be a decided outcome by halftime. Virginia seems to be in midseason form already with allowing few points, yet not putting many points up themselves. I see Virginia moving on to play Butler. In the first semi final game of the winners side of the bracket, I think Wisconsin has a more put-together team at the moment which sees them advance to the final. In the second semi final game on the winners side, I think Virginia moves on. Butler’s experience with their coach and on court savvy to attack the zone defense is too much to overcome. It will be a learning experience that they can take advantage of. If they do win, it will be because they made a large percentage of the 3-pointers they shot and they didn’t settle for long 2-point jump shots. I think Oklahoma beats Stanford in the semi final on the losers side of the bracket, and Dayton beats Middle Tennessee State. Finally, I think Stanford leaves without a win and loses to MTSU and Dayton beats Oklahoma. I believe the overall winner will be Virginia after a close game with Wisconsin. Tony Bennett has developed a system that works so well with the players he recruits that he will consistently have a high winning percentage every season. The match up between Louisville and Tennessee should be great. With Louisville still feeling the after effects of the FBI probe, recent sanctions, and introduction of new head coach, Chris Mack, it’s amazing to think that the Cardinals can still compete. This will be a “down year” relatively speaking, but they will play teams tough during the entirety of the game. I think Tennessee wins by single digits. In the second game, Kansas is heavily favored to beat Marquette. The Jayhawks will give Marquette trouble with their height, length, and their guard play. However, Marquette is set to have one of their most successful seasons in years. If the Golden Eagles are hitting their threes, win the rebounding battle, and play the transition game well, I think they will play Tennessee in the final. That isn’t likely so I have Kansas moving on. I couldn’t locate a bracket, but did find game times. UNC and Texas will play in the first game followed by UCLA and Michigan State. Winners of both games will play each other. Losers will play against each other. Michigan State showed some resolve against a deep Kansas team during their Champions Classic game. Indy native, Kris Wilkes has put up impressive numbers for the Bruins. I think that the Tom Izzo led Spartans triumph and take on North Carolina in the second game. Texas saw a wonderful story unfold in seeing Andrew Jones return to the court after being diagnosed with and then beating leukemia. Shaka Smart needs results as the coach of the Longhorns. He’s muddled in the Big12 Conference the past few years. I don’t see him beating North Carolina in their first game, however. Texas is likely to depart Las Vegas with two losses. In the championship, I expect a close game, one that the Tar Heels eventually win by single digits. The key for the Spartans is to remain out of foul trouble.